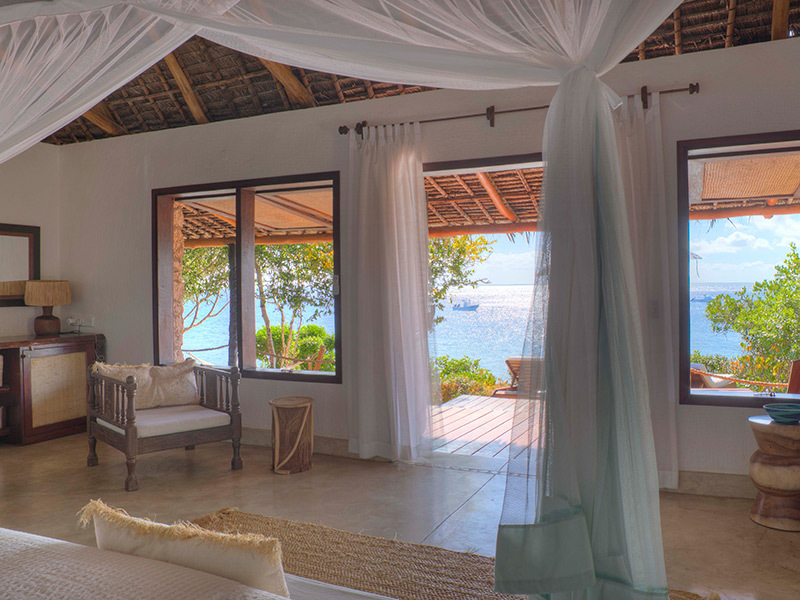 Azura at Quilalea is the second luxury Indian Ocean Retreat in the Azura Retreats group, bringing Azura’s trademark African-chic style to Quilalea Private Island, a private, wholly uninhabited island paradise surrounded by pristine waters. 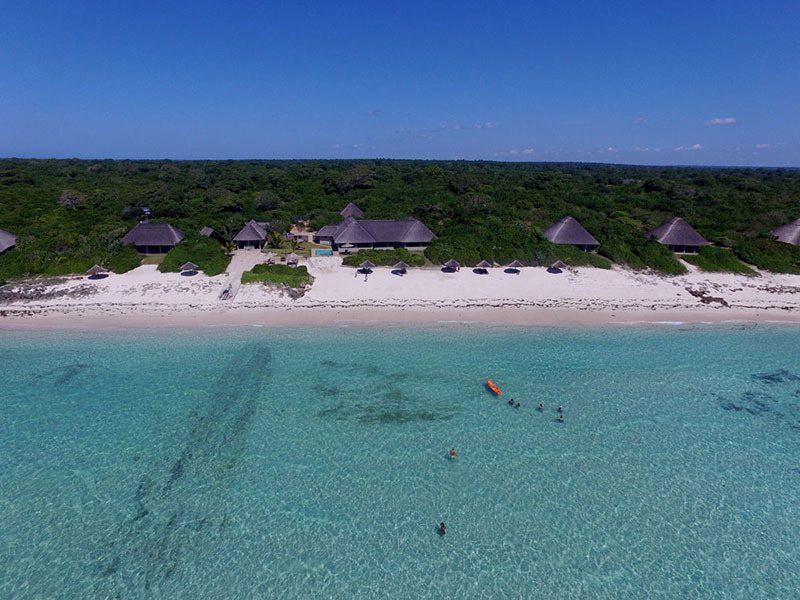 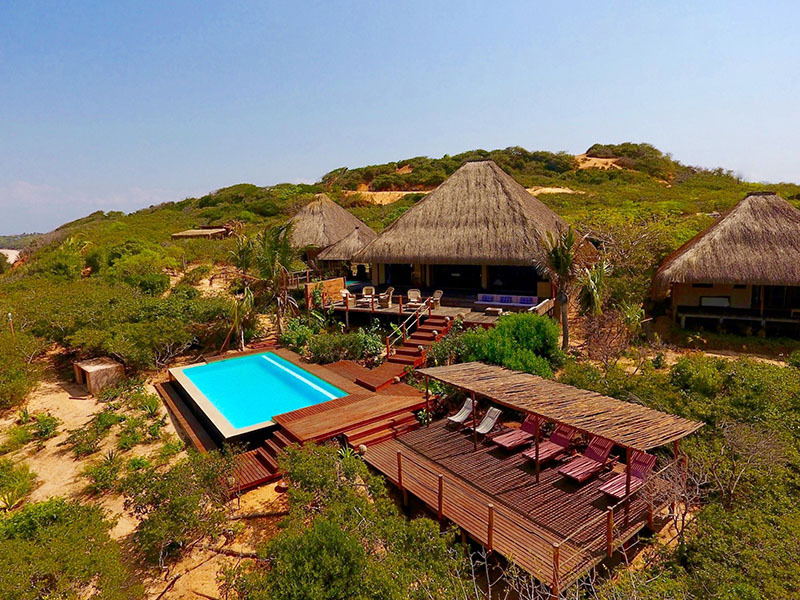 One of 32 islands in the Quirimbas Archipelago, Quilalea Island is only 84 acres in size and covered in lush indigenous coastal vegetation interspersed with magnificent baobabs. There are four white sandy beaches and paths explore all the coves and hidden gems the island has to offer. 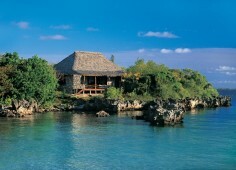 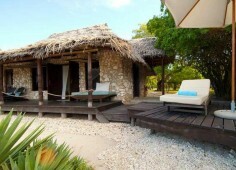 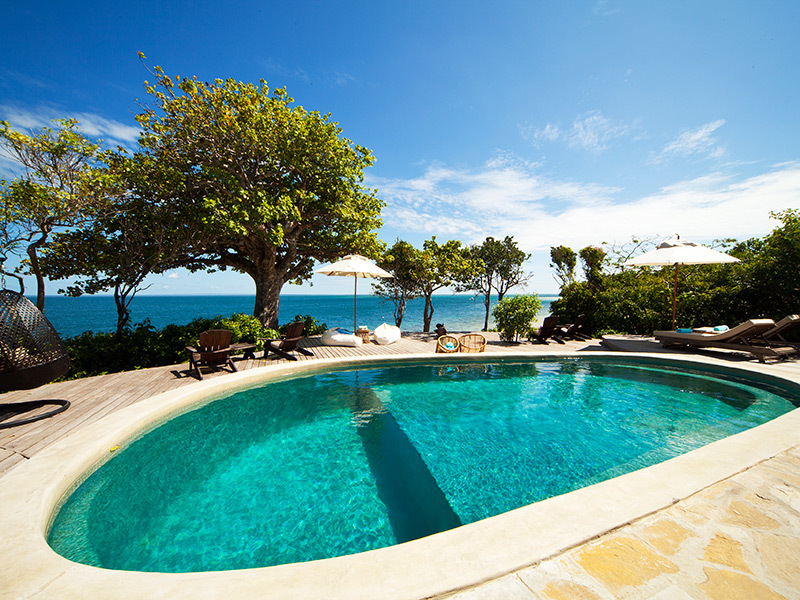 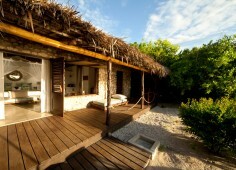 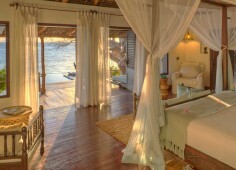 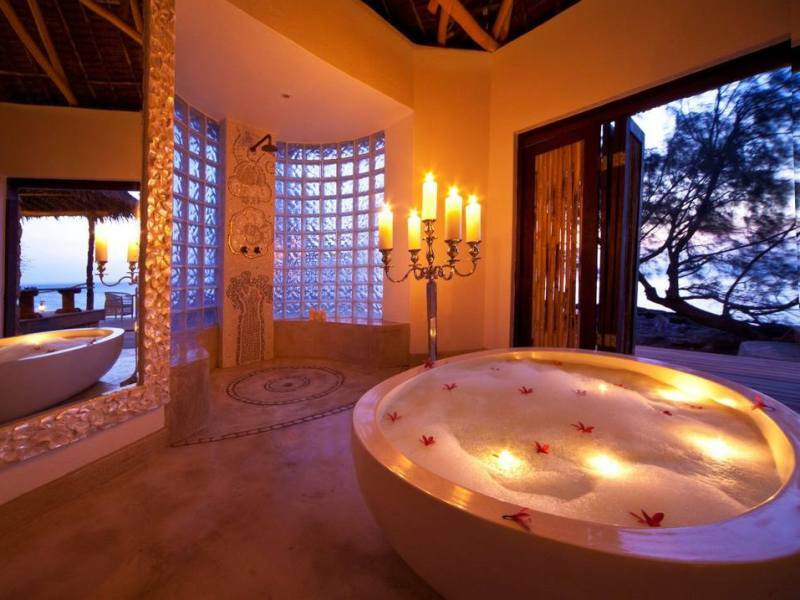 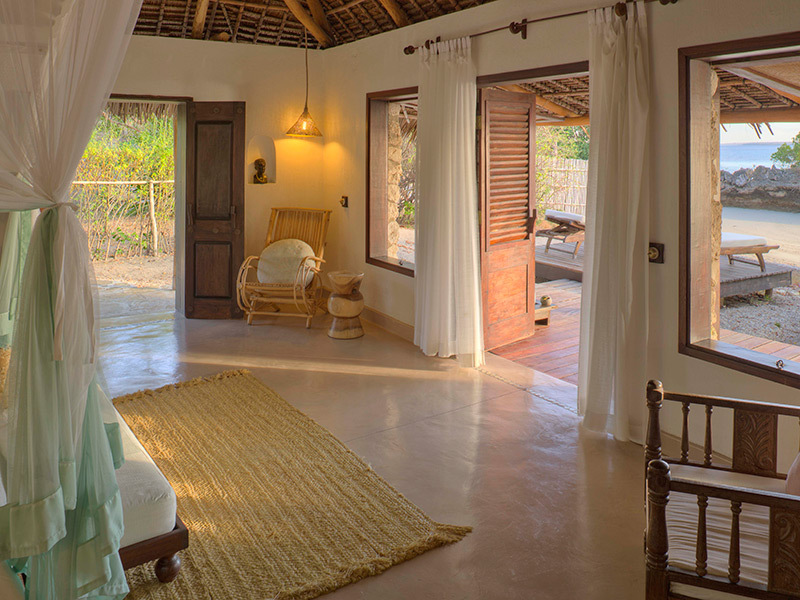 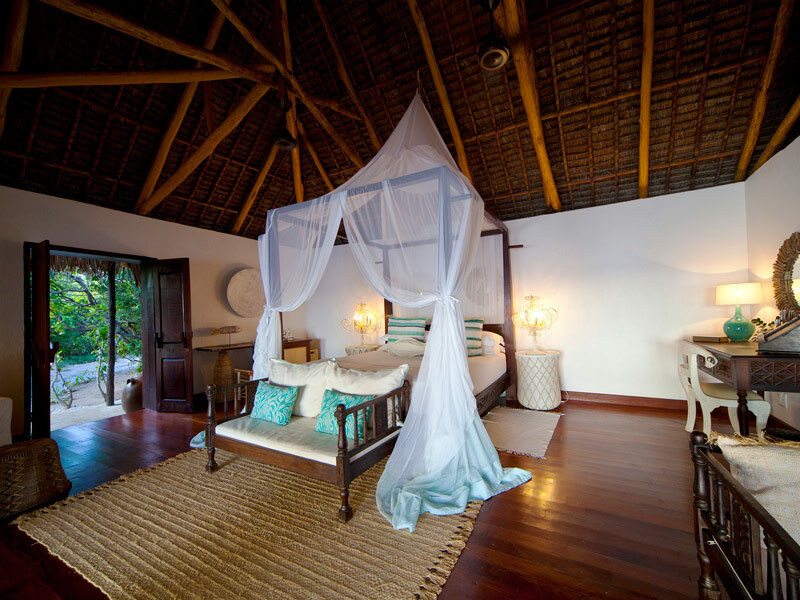 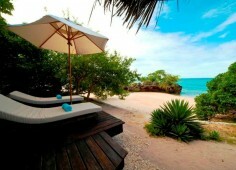 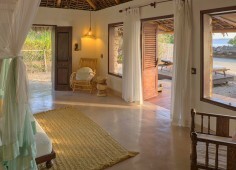 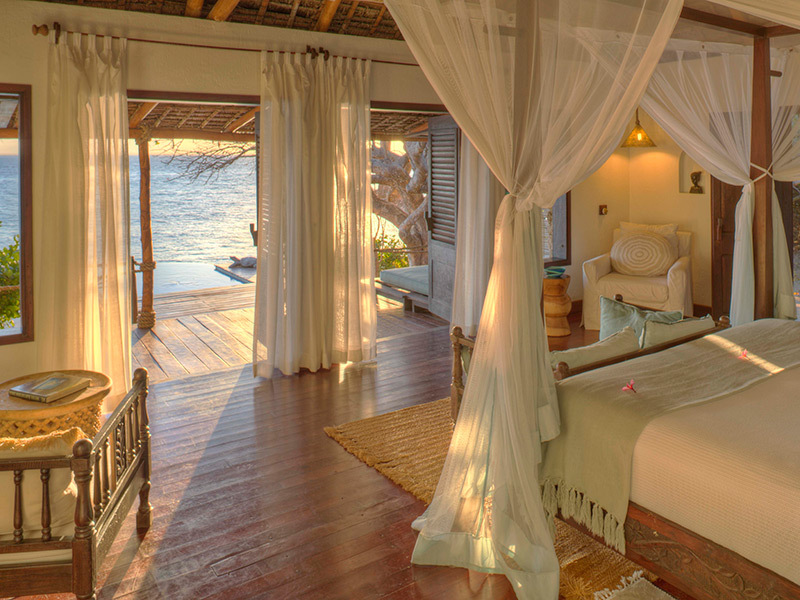 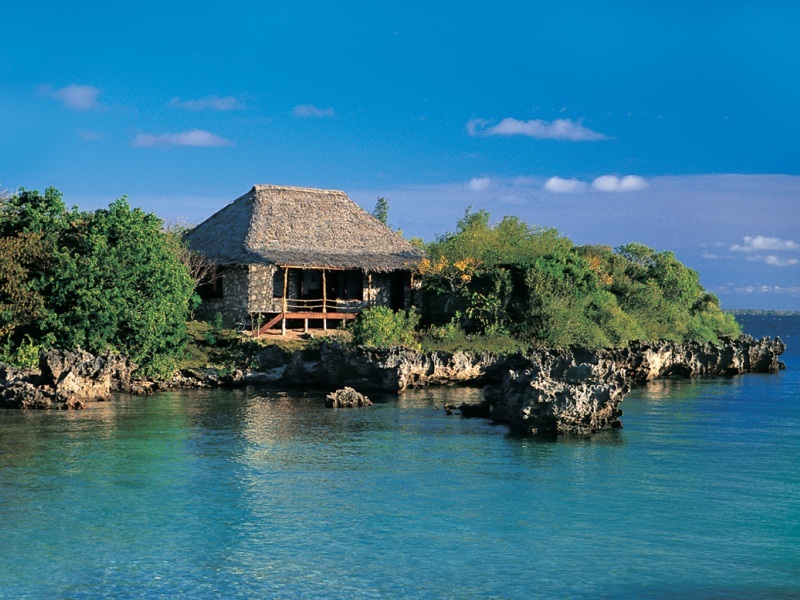 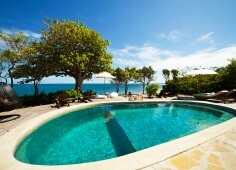 There is a choice of 4 Kaskazi Villas, 4 Kusi Villas, and the fully private and exclusive Villa Quilalea. 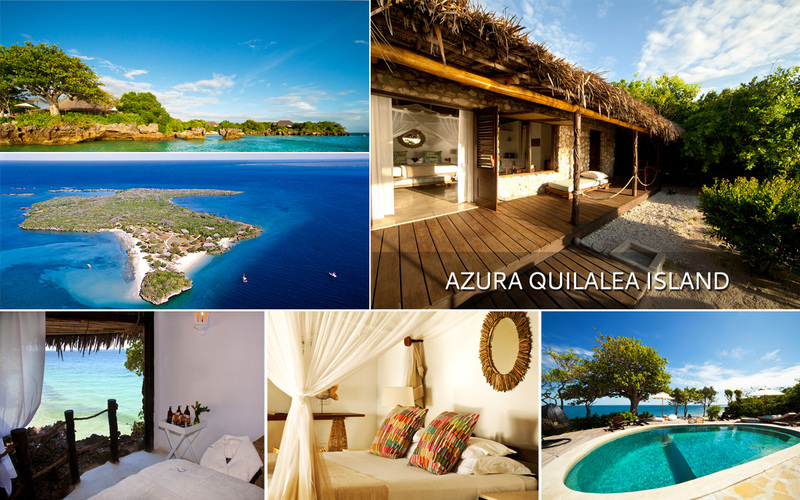 Azura at Quilalea is the second luxury Indian Ocean Retreat in the Azura Retreats group, bringing Azura’s trademark African-chic style to Quilalea Private Island, a private, wholly uninhabited island paradise surrounded by pristine waters. 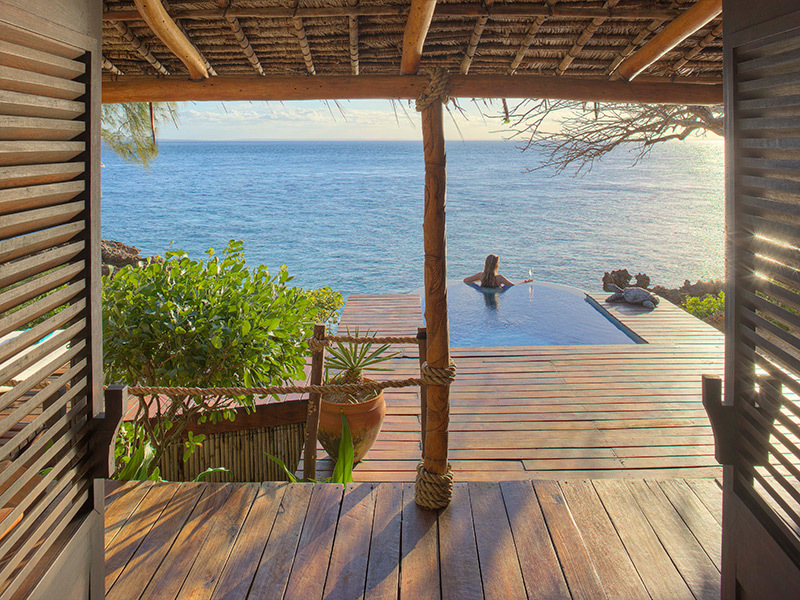 One of 32 islands in the Quirimbas Archipelago, Quilalea Island is only 84 acres in size and covered in lush indigenous coastal vegetation interspersed with magnificent baobabs. 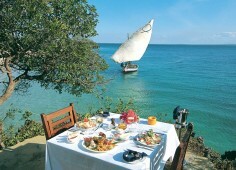 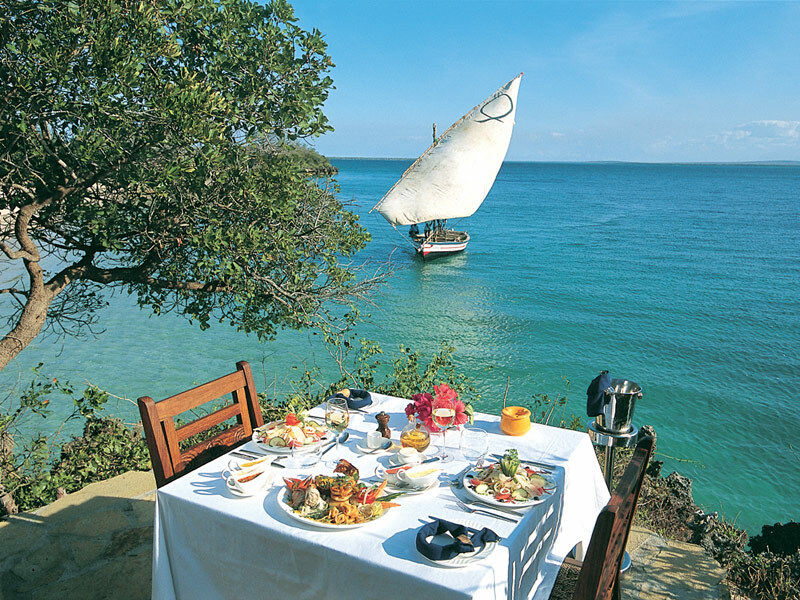 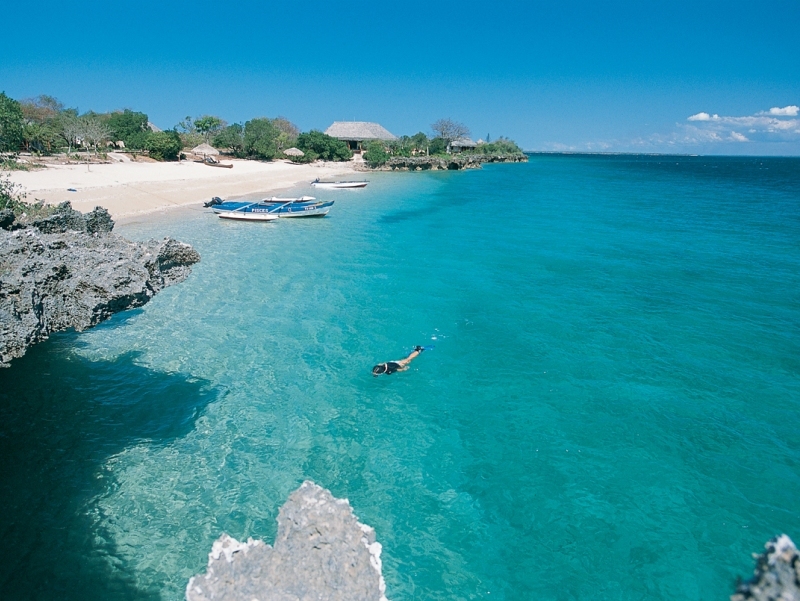 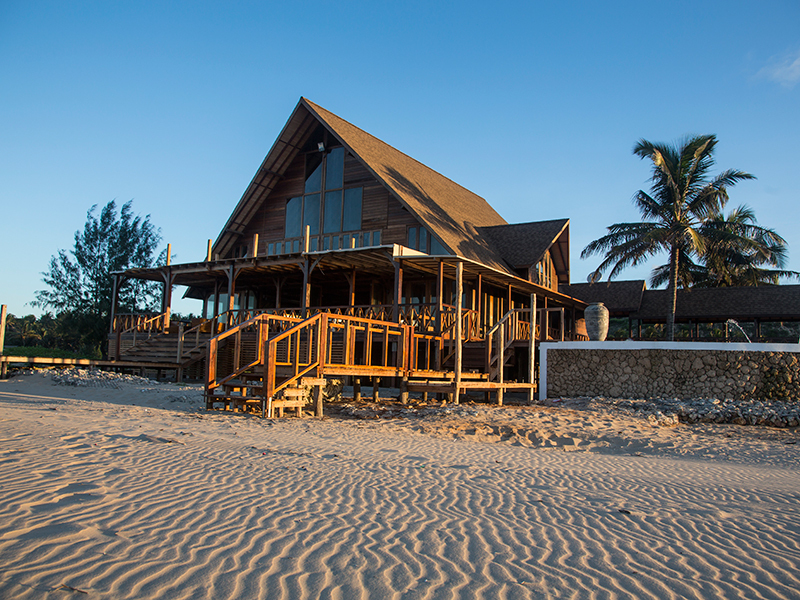 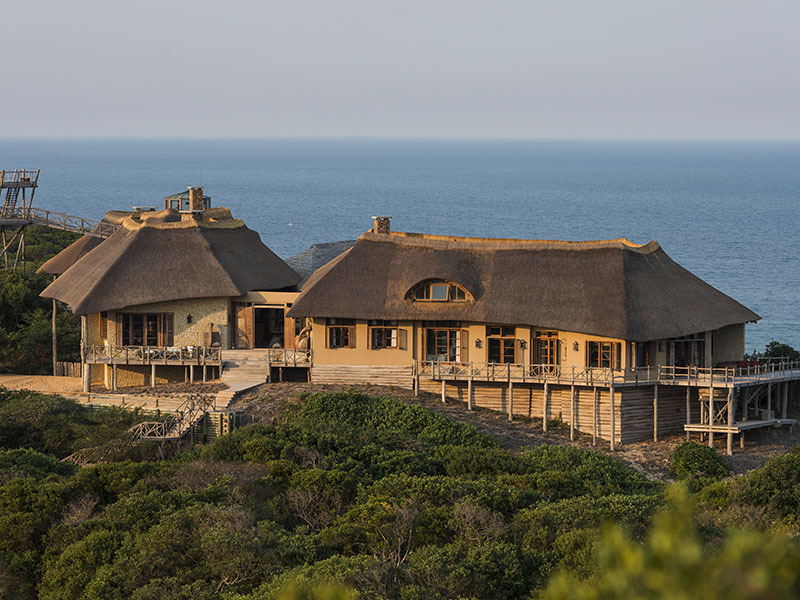 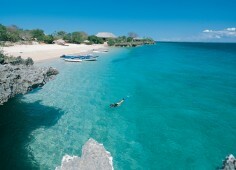 Pemba can be accessed from South Africa with daily flights from Johannesburg on Airlink and LAM. 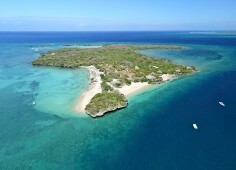 Once you have collected your baggage at the brand new Pemba International Airport there is a short walk to the transfer company either for your light aircraft or helicopter transfer. 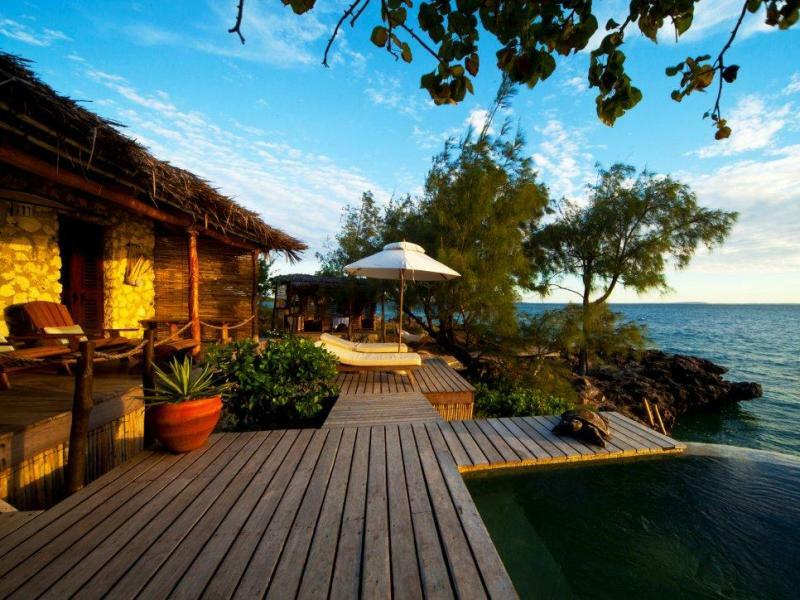 Private Charter flights are available to Pemba through various charter companies in Johannesburg at reasonable rates.